Throughout history women of color have been incredibly influential in music, art and film but so very often are overlooked. To celebrate the beauty icons of color who have made lasting contributions, we put together a list of six of our favorite below. As the first black woman to be nominated for an Academy Award for best actress and overall classic Hollywood icon, Dorothy Dandridge needs no further introduction. Dandridge is not only an icon of aesthetic beauty but one of the most influential black actresses in American cinema, setting the stage for the success of equality in film today. The singing and dancing trio the Dandridge Sisters propelled Dorothy into the entertainment industry. The trio found success together performing at venues like the Cotton Club in Harlem and in films like Going Places with Louis Armstrong. Dandridge began performing in major cities all over the world; her newfound popularity led to title roles in films like Bright Road and Carmen Jones for which she received an Oscar nomination. Dandridge was also featured on the cover of Life magazine and through her success appeared to be becoming the first actress of color to reach the level of success of actresses like Marilyn Monroe and Ava Gardner. Unfortunately that would never happen as racism and prejudice continued to be influencing factors in Hollywood. After Carmen Jones Dandridge’s success slowed and her popularity waned. She faced a tragic death and her achievements in the entertainment industry would not be acknowledged for years. Often called ‘the black Marilyn Monroe’ Dandridge superseded comparisons and created a legacy of her own. Actress, super model, chart-topping musician, record producer, songwriter, artist and fearless fashion pioneer of the 1980s and 1990s; name it and Jones has conquered it. Before diversity of skill became popular for media figures she was mastering all things creative and musical. Known for her signature asymmetrical flat top and dramatically arched brows, Grace contradicted the idea of what a successful woman of color in the media was expected to conform to. Her features weren’t classically beautiful or socially popular but she soon found success by presenting her authentic self. She will always remain an icon of beauty because her confidence and talent made eccentricity and self-awareness desirable. Discovered by Orson Welles, who called her “the most exciting woman alive”, Kitt was a highly successful actress, singer and dancer. She’s best known for her role as Cat Woman in the 1960s Batman television series and the classic Christmas record ‘Santa Baby’. Early in her career she was given the opportunity to tour with Katherine Dunham’s dance company before gaining popularity as a night club singer in Paris, where she was discovered by Welles. Her commercial singing career took off after an appearance in the 1952 Broadway production, New Faces; shortly thereafter she released her debut album. Kitt was fearless on and off stage but it was her fearlessness that weakened her popularity in the late 1960s. Her career stalled after she confidently spoke out about the Vietnam War and the effects of the draft system on young people at a White House luncheon. However Kitt bounced back ten years later with a Tony award nomination and an invitation back to The White House from President Jimmy Carter. Kitt worked well into her older age, continuing to be fearless, confident and incredibly exciting. One of the most prominent figures of the Jazz Age, Josephine Baker was one of the most successful and highest paid performers in 1920s Europe. After touring with multiple acts in the U.S., Baker traveled to Paris and found success as a dancer; it was there that she experienced greater cultural acceptance and respect as an entertainer. Baker was known for wearing costumes that left very little to the imagination and it was after performing her dance, La Folie du Jour, in a skirt comprised of 16 bananas that her career saw a sudden upswing. She quickly became a fixture in Parisian society and gained admirers in Pablo Picasso and Ernest Hemingway. During World War II she aided the French resistance by acting as a go-between for intelligence, often hiding messages in her sheet music. She worked with the Red Cross as well as the Free French Forces, earning two of the highest awarded French military honors. Baker’s political influence didn’t stop there as she later became a civil rights activist speaking at the Lincoln Memorial along with Martin Luther King Jr. and many others. Racial equality and unity were very important to Baker and in 1950 she began adopting children from all over the world creating what she called her “rainbow tribe”. Called “the sweetest and most adorable woman in the world” by Alvin Ailey, Lena Horne is truly a woman the world should never forget. Actress, dancer, singer and civil rights activist, Horne used her platform as an entertainer to influence the way the film industry perceived black people. She bravely refused to play characters that misrepresented and stereotyped black women. After a stint with the Charlie Barnet Orchestra, a long season at the Savoy-Plaza Hotel nightclub and a feature in Life magazine in 1943, Horne became the highest-paid black performer of the time. After becoming involved with the Progressive Citizens of America and demonstrating publicly her intolerance for racism through various lawsuits against numerous venues, Horne was blacklisted. McCarthyism and paranoia was rampant throughout Hollywood and Horne soon found herself out of work. 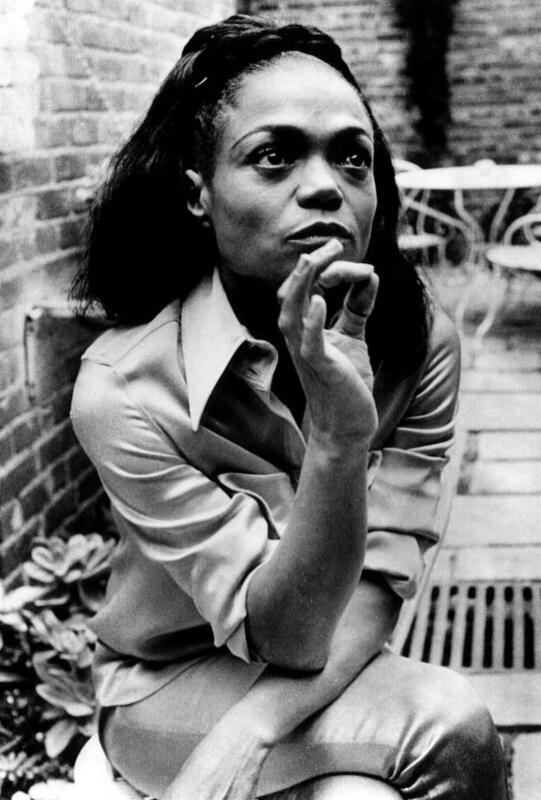 She returned to singing in upscale nightclubs until the list expired but continued her work with the civil rights movement, participating in demonstrations such as the March on Washington. In 1978 Horne returned to the big screen for the final time as the iconic Glinda the Good Witch in The Wiz alongside Diana Ross and Michael Jackson. Lena Horne is a woman to be remembered because she found incredible success without reducing her worth or talent whilst leading others to do the same.